The Great Indian Bustard — one of the rarest, most critically endangered flying birds alive today — was once almost India’s national bird. Why was the peacock chosen instead? It’s an early morning in July in the open grasslands of Rajasthan, and the sun is coming up slowly over the horizon. It has been raining intermittently, the smell of wet earth rising from the ground. In the distance you can see the silhouettes of blackbuck grazing in the diffused orange light. Acacia and khejri trees dot the brown landscape, and an eagle circles the sky above. Suddenly, there is a deep boom from somewhere nearby. Boom! Hoom! It seems to be getting louder. Standing in the cropped grass is a large, brown bird with slender legs and a white, Santa Claus-like beard. He is strutting about on his three toes, tail feathers up in the air, inflating his chest out like a balloon. On his head is a short black cap of feathers. This is the male Great Indian Bustard, in full mating display. He is one of the rarest, most critically endangered flying birds alive today? And did you know that the Great Indian Bustard would have been the country’s national bird, if it hadn’t been for his tricky name? Back in the 1960s, the Indian government was encouraged by international bird conservation organisations, to select a national bird. A bird species, they suggested, that needed immediate attention and protection, whose numbers were dwindling in the wild. The Great Indian Bustard seemed the most obvious choice. It was already endangered at the time, with less than 1300 individuals in the country. It was being hunted and poached extensively—threats that might have come to the forefront if it had received the support it needed. The famous ornithologist Salim Ali emphasised that this spectacular bird required “an urgent, nation-wide effort” to save it from its impending doom. But people worried that its name — bustard — could easily be misspelt or mispronounced. Government officials thought this could become embarrassing. So the bustard, just an unfortunate vowel out of place, was discarded for the peacock — a pretty bird, but one that had a healthy population and no immediate threats facing it. The designation of ‘national bird’ was intended to be a protective measure for a threatened species. But instead its place was taken by another bird, popular for its mythological and ornamental importance. 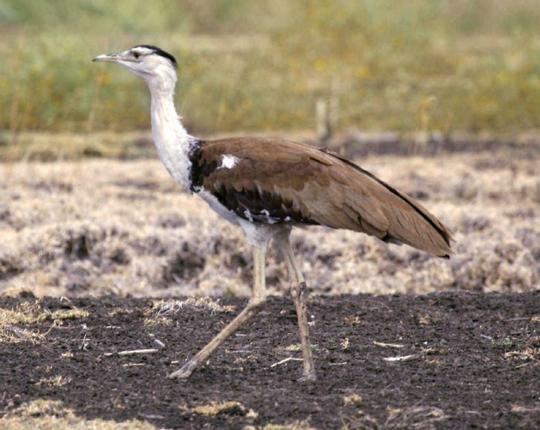 Meanwhile, the Indian Bustard has disappeared from 90 per cent of its prior habitat, and its numbers are today fewer than 300 birds nationally. Half of these surviving birds are in Rajasthan. Unfortunately, they are still hunted for their meat and eggs. Their dry grassland habitat is threatened by development and agricultural expansion. The female bustard usually lays only one or two eggs every year, and if these are destroyed, there are no young born for an entire year. This leads to a drop in population numbers. When grasslands and savannas are claimed for agriculture and mechanised farming, bustards lose their natural habitat. The birds also get caught in fences while moving around, or in electric power lines while flying. Crops that they were used to, like jowar , are rapidly being replaced by sugarcane and cotton, which the birds find unsuitable. And as the villages surrounding these areas get bigger and better connected, bustards are killed by vehicles on the roads or by stray dogs from nearby. I’ve never seen a Great Indian Bustard, and I don’t even know how it really looks. But here’s why I think they should be protected: they’re irreplaceable. 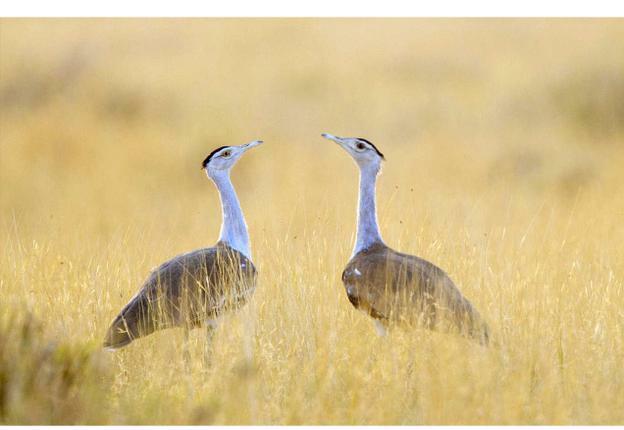 If the great Indian Bustard disappeared, there’d be just a little less wonder in the world than there is today. And, as the philosopher Socrates said, wisdom only begins in wonder. This article appeared in the Hindu in School on 16 October 2013.